A few weeks back I wrote about the first half of my month with ClassPass, and the classes I took at local studios including Thrive24, Club Pilates, Endorphin and Infinity Yoga, using the program's unlimited class offering. I'm thankful to ClassPass for providing me with a complimentary 1-month membership so I could take those classes and two others that I want to tell you about. The Rider's Barre stuck out to me immediately when I started looking through all the class and studio options. 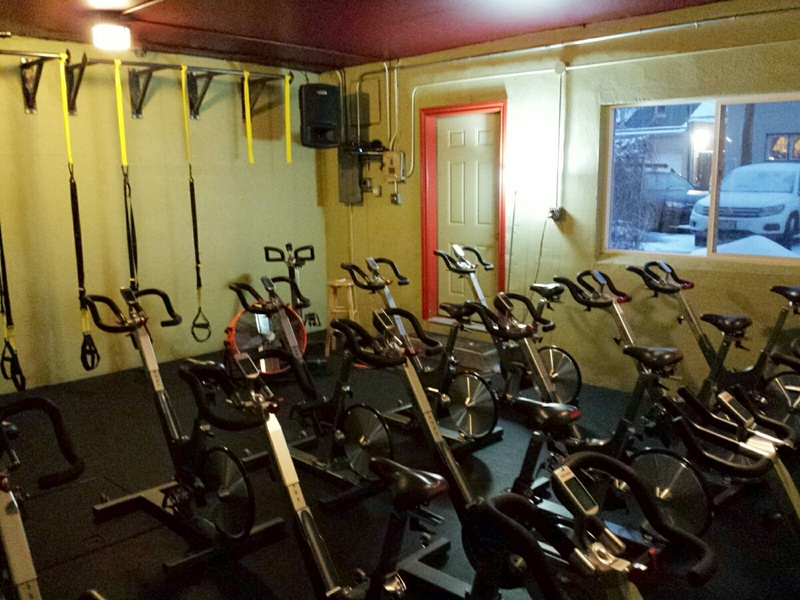 They offer single-discipline classes, like the Ride (aka spin or cycling) class I took on a really snowy Wednesday night, and classes that combine two activities like YogaBarre, YogaCycle, and Ride/TRX. The studio is in an older building in a small cluster of store fronts along S. Broadway. There's a rather large front area with a room for yoga and barre classes just behind and the room filled with spin bikes and TRX trainers is at the back. There were about six women in my class and the teacher, Erin, was upbeat, enthusiastic and didn't let the falling snow outside slow us down. The music was good - I heard the new Madonna song for the first time - and I definitely got a good workout but I wasn't completely exhausted after this one like I was after the class at Endorphin (granted, that incorporated rowing, weighted exercise balls, and lots of squats). I did wish by the end of class though, that I had invested in a pair of bike shorts! - You don't need special shoes, but if you have them, great! These bikes are equipped to handle sneakers for those of us who don't take enough spin classes to make investing in special shoes worth it, and those who ride 5 days/week. - Being on S. Broadway there isn't a ton of parking, but look for something in the neighborhood or come sans car if you live nearby. - The Bardo Coffee Shop, two doors down, is perfect for a post-workout coffee, or if you're looking for a bit more hearty breakfast, head up a few more blocks to Denver Biscuit Co. Looking for something a little different, check out Adrift Bar & Grill for a little tiki-inspired fun. This class made me come to terms with the fact that my core is as weak as a leaf. I struggled through the 45 minute class from the first minute, making the class feel like it was never going to end, but yet it was over in a flash. Maybe the 4 mile run and lack of water had something to do with it, but my abs and legs fatigued quickly from the reps and resistance. When we got to the arm section towards the end, I could finally show off my mastery of the seated row! 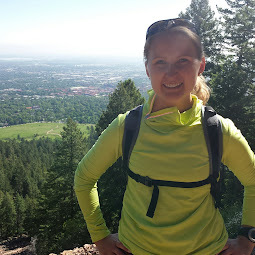 Our instructor, Shannon, was spunky, super-fit, and who's quasi-drill sergeant demeanor was slightly frustrating yet made me determined to push through. I definitely felt the burn the next day, particularly in my abs, which kind of makes me want to take the class again. 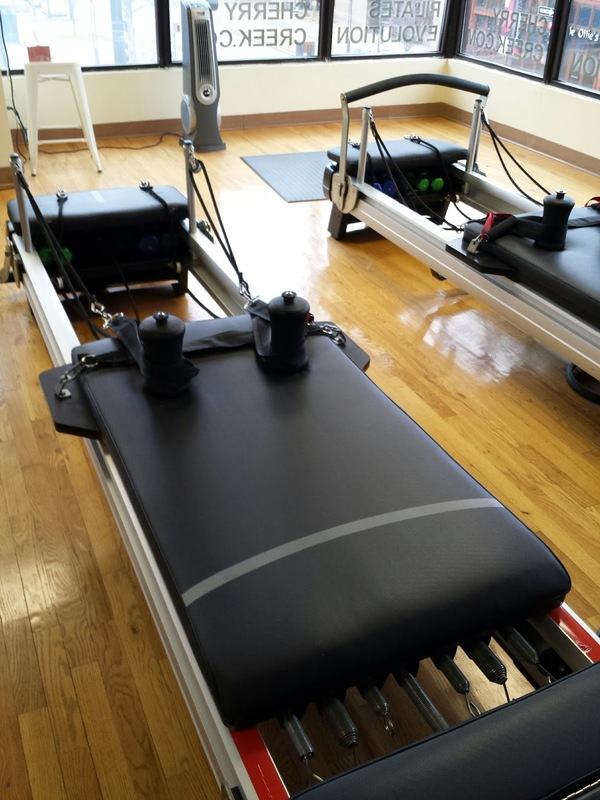 - The studio is very simple - just a large room with a good number of reformers. There is a drinking fountain but it's slightly hidden in the hallway shared with other businesses that leads to the public restrooms. - Located in Cherry Creek, like Club Pilates, there are great restaurants and shops all around, including a Whole Foods 2 blocks away. Ink Coffee, also nearby, has an addicting drink called the Blended B&B (espresso, chocolate, banana, milk, ice) that tastes sinful but incredibly satisfying after a hard workout. I suggest adding some protein powder to the mix. - Because of all the construction in the area, plan to park in the neighborhood and walk several blocks, or if you can, walk/run/bike from home. As for my overall experience with ClassPass, I did really enjoy trying out a lot of new classes and the variety I was able to put together. The website and app make it pretty easy to search for classes - via a list or map - and reserve a spot. The user profile not only keeps track of classes that are upcoming, but classes that have been taken, which is a nice feature if you want to quickly reserve a spot in the same class at another time or look back to see what you've taken recently. The reminder emails the day prior to each class were also helpful, especially because twice I needed to cancel my reservation due to work obligations and if you cancel less than 24hrs in advance you're charged $20 (which makes sense to me). At least twice during the month I got emails announcing that new studios had been added to the program, which was great to see. On the other hand, as expected, it seemed the vast majority of classes offered - as of January - were of the yoga/barre/Pilates variety. There a few clunky features with the website as more than a few times I tried to reserve a spot in a class that appeared open but didn't actually have any spots left. I spent a lot of time trying to find the right class, in the right part of town, on the right day, and at the right time to fit my schedule. I imagine though that after a few months users get to know what studios and classes they really like and these factors become less of an issue. As much as I love trying new classes and expanding my fitness routine, I won't be investing in the $79/month membership on an ongoing basis. Woody and I have our early morning routine down, and I don't see myself deviating enough from that routine to make the expense worth it. Plus, I found it really difficult to fit classes into my schedule after work so most of these were taken on the weekend, which limits me to only a couple days a week. I do see how this would be a great option for those who love to take classes and have short commutes. If a lower cost membership option for just 4 or 5 classes per month was available, I would definitely consider it and I did find a few studios that I'll go back to for drop-in classes now and then! What was your favorite/best workout from the past week? I think Class Pass is great for the casual exerciser. I just wonder how convenient it is to go to a new studio every other day during the week as you mentioned. My favorite/best workout from the past week? I tried Townhouse and it was intense. Like the 8 minute workout made me want to run out the door. After I survived that, I was ok.
ClassPass is $100/month in San Diego so that sounds cheap to me! :) I love it because I get bored so easily and I get to cross train at studios all over. In San Diego there is a boutique studio on every corner so it's fun to hop around. Great review. I really would love to try a Class Pass, but like you I would want more variety. Some spin stuff, boot camp, etc. Not just yogaish stuff.